Used by JOLLY MOTORS and the SPIRIT OF NORWAY in the 2000 CLASS ONE racing season. Upon installation of the drop boxes, each boat WON THE RACE the FIRST TIME OUT! 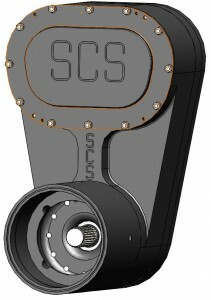 The Unmatched Service Of SCS Gearbox Inc.
At SCS Gearbox, we are true professionals. There are those who are in this business just to make money and then there’s us. We have a passion for working with those in all facets of the racing industry and it shows. It doesn’t matter if you need a Quick Change Transom Drop Box, a Transom Drop Box, or Marine Racing Parts or if you just have a question. We are the ones who will be there to help you however we can. One of the big differences between those who are just salesmen and those who are true professionals is genuine expertise. We manufacture a line of products and we know our products inside and out. Our expertise in this field is demonstrated by the fact that we have been around since 1979. You don’t stick around that long without having something real to offer or without learning about the business. We know what we’re talking about which means that we can help you know it too. 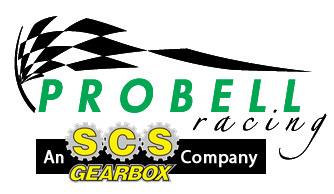 Our expertise comes from 36 years of working with our customers and our products to develop a product line that is unbeatable. We aren’t new to this industry and those in this industry know it. We have earned a reputation for consistently manufacturing and selling quality products and people have come to depend on us for our quality products. We continue to be successful because we refuse to let our customers down. We have learned over the years that we have to be good to our customers if we want them to stay our customers. The truth is that we have been good to our customers from the start and this is what has allowed us to stick around for so long. We are reliable so people rely on us. We believe in integrity in business too. We are up front with our customers and they have come to trust us. This goes for the customers who have been with us for many years and those who have honored us by becoming our customers more recently. Being straightforward in all of our business dealings has served us well for decades and we are not going to be changing this way of dealing with our customers anytime soon. We know what’s right and that’s how we treat our customers.